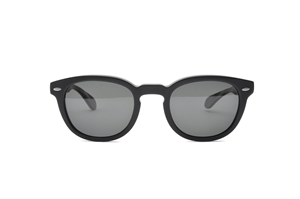 The Oliver Peoples Sheldrake OV5036 is a unisex 1930's inspired designer sunglass. It is known as the "Johnny Depp" frame as it is the frame he is often seen wearing. The Sheldrake is logo free apart from the Oliver Peoples logo on the end tips and the breath logo on the lenses. The Oliver Peoples Sheldrake OV5036 comes with its own branded case, cloth and packaging, and covered by the 12 month no quibble Sendoptics guarantee.